Students may make arrangements for outstanding balances on their student account to be paid in several ways. 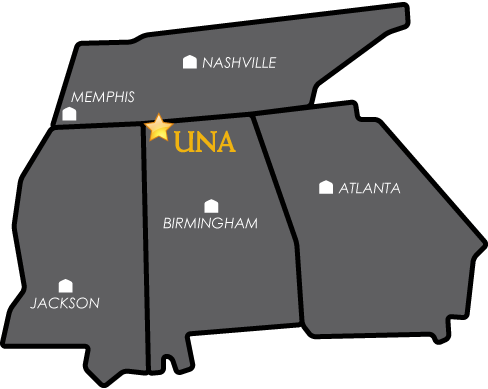 UNA allows students and authorized users to access their online account 24 hours a day. Use this site to view your bill, make payments, or manage your account. Please indicate the student's ID number on the memo line of the check. UNA offers an interest-free monthly payment option through a commercial provider for the Fall and Spring semesters (see the website at http://www.una.afford.com), the University of North Alabama provides a monthly payment plan that enables students and families to spread all or part of annual expenses over equal monthly payments, eliminating the need for lump sum payments at the beginning of each term. Students who intend to use financial aid to pay tuition and fees must complete all financial aid processes by the due date. Financial aid awards appear as anticipated aid on your billing statement once you have completed all financial aid requirements and accepted your awards. You will also need to ensure that you will have enough incoming financial aid to pay your balance. Any remaining balance that will not be covered by financial aid MUST be paid by the due date to avoid cancellation of your schedule. If you have questions about your financial aid, contact Student Financial Services. You may view your outstanding financial aid requirements through your UNA Portal.